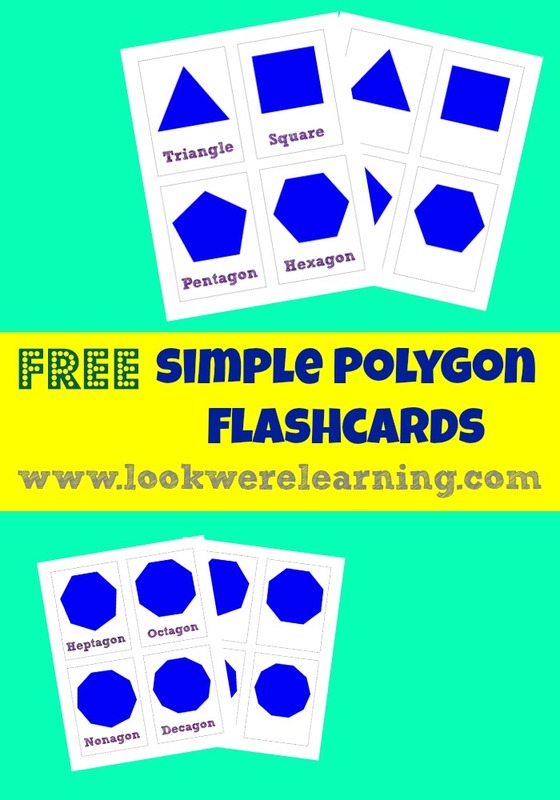 Free Printable Polygon Flashcards - Look! We're Learning! 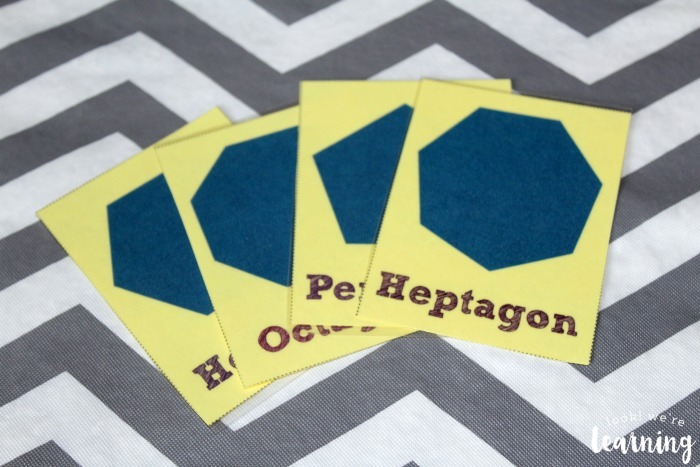 For our free printable flashcards series this week, I thought I’d whip up a set of Free Printable Flashcards: Polygons! This set includes the eight simple polygons, which makes it easier for little ones to get an introduction to geometry. 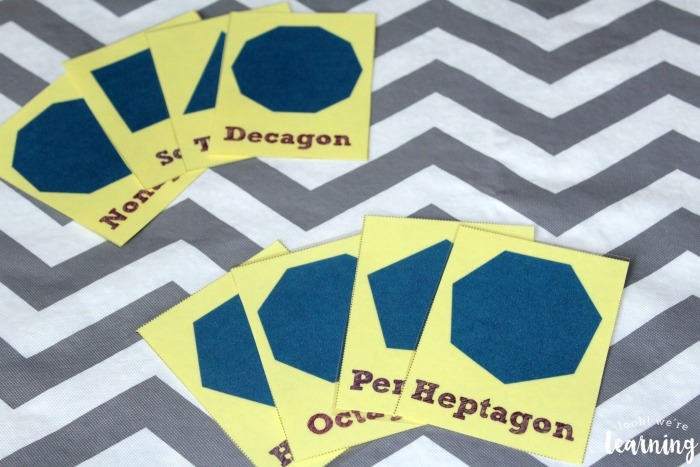 These free printable polygon flashcards are awesome for introducing preschoolers and kindergartners to basic shapes, but since they include more complex shapes as well, they’re a good review for elementary students too! 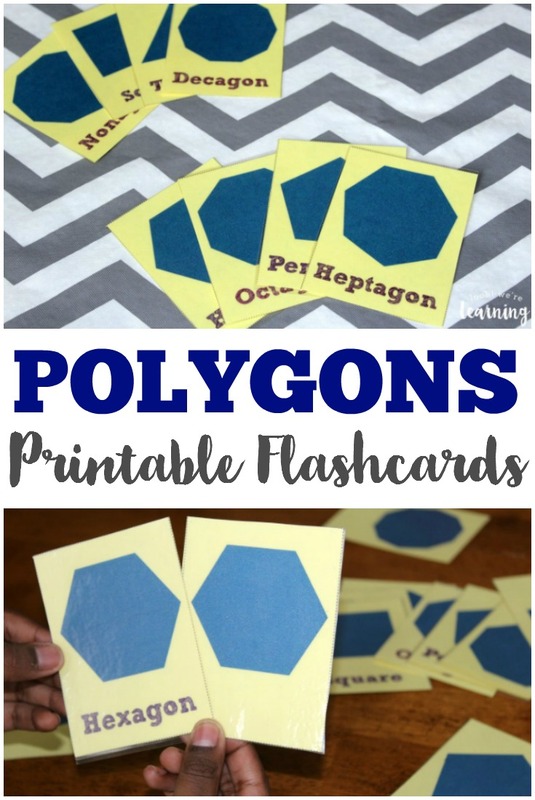 If you enjoy using these printable polygon flashcards in your homeschool, check out some of our other math printables, including Amusement Park Addition Flashcards and our Aquarium Arithmetic Printable Pack! 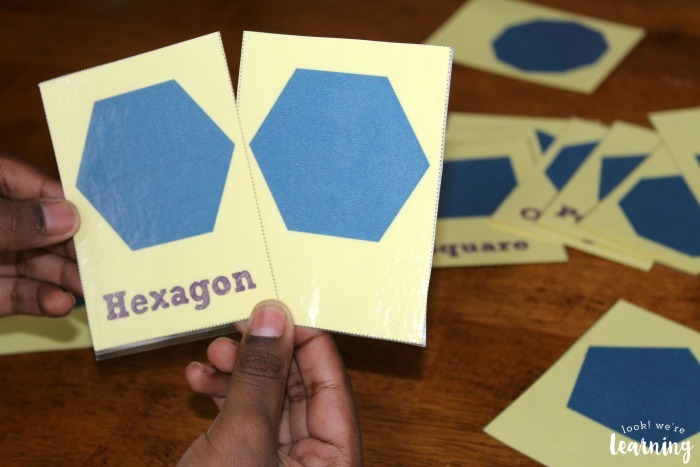 What’s In the Free Printable Flashcards: Polygons Set? The word “polygon” actually means multi-sided shape. So any shape with “many” sides counts as one. In this set, though, we’re focusing on shapes with three to ten sides. There’s a set of all eight with words and without for quizzes or playing a game of concentration. Take a few minutes to quiz the kids with the unlabeled cards! Or have them count the sides of each shape and guess which it is! 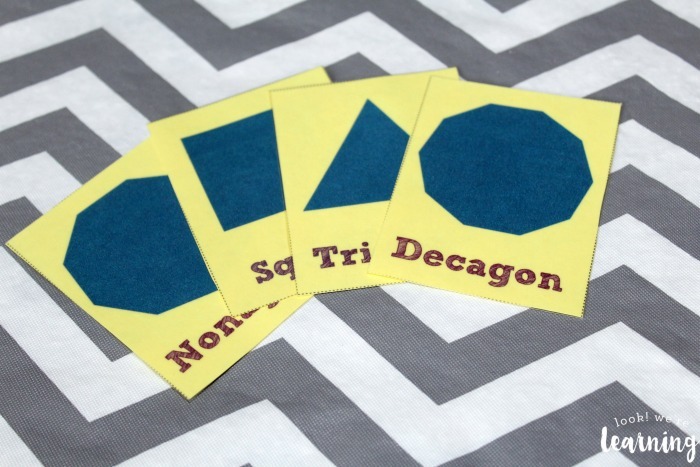 Scroll down to get your copy of our free printable polygon flashcards! 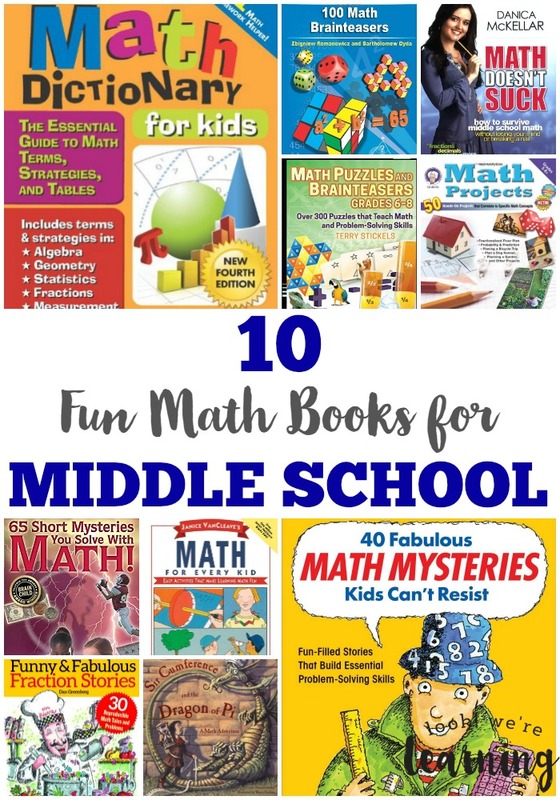 For more great polygon resources, try these books and activities! 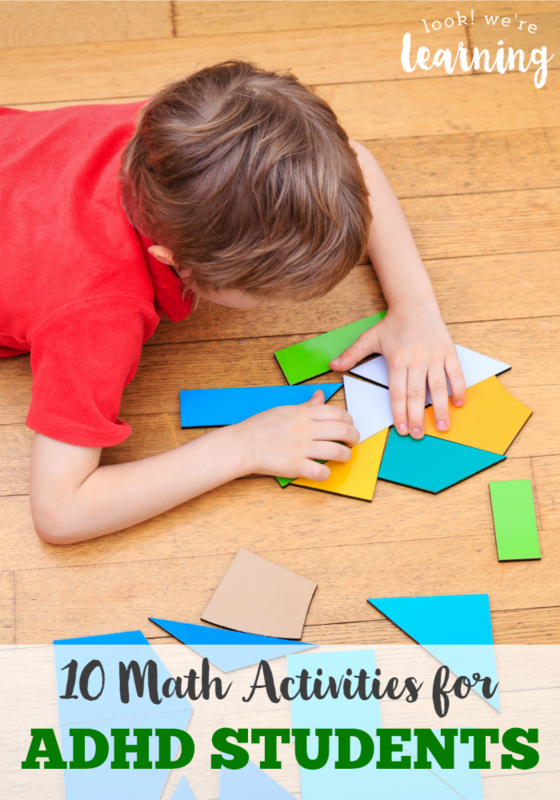 Make learning about geometry into a hands-on lesson with these fun polygon activities! 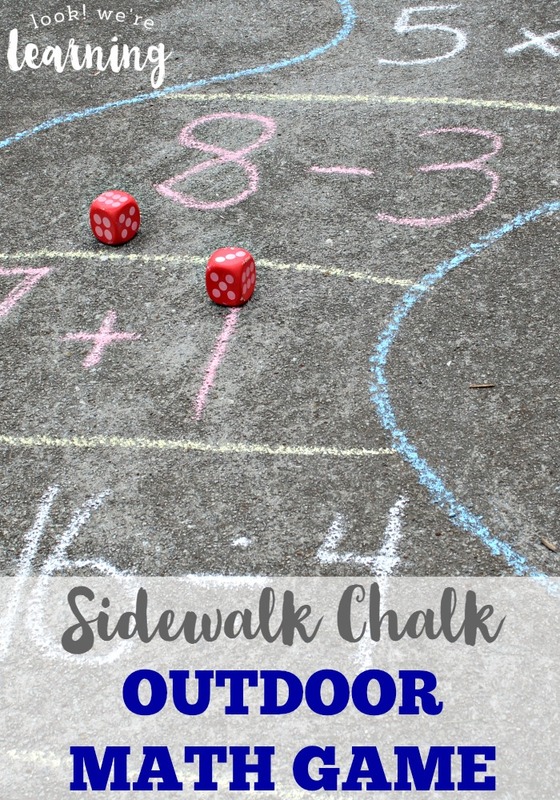 Stop by and take a look at some of our other math learning ideas! Plus, follow my Math Mania board on Pinterest to get more tips for teaching math! 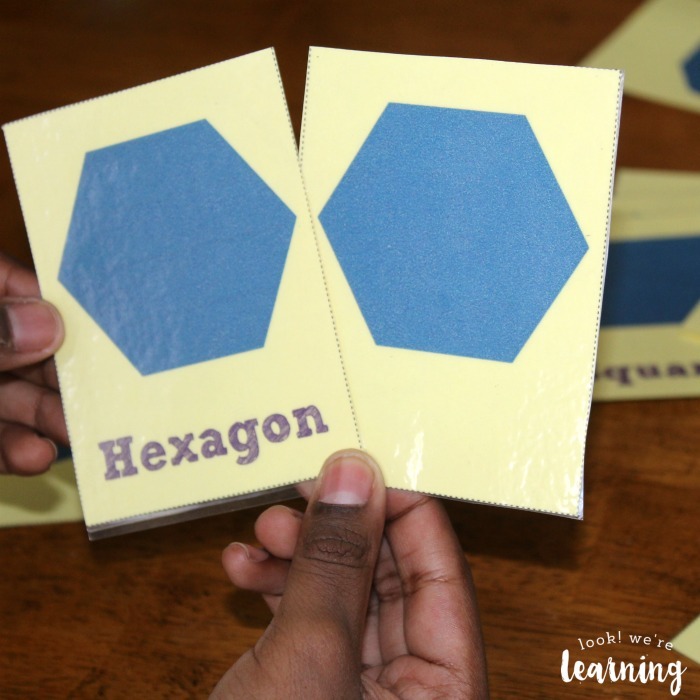 To get your copy of our free printable polygon flashcards, click the image or the link below to visit our Store! Wow! So cool! Thank you so much for putting these together (and for linking up to the #SHINEbloghop)!